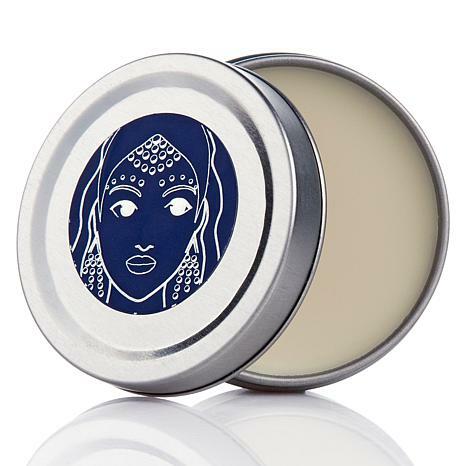 An absolute life saver for dry, wrinkled skin, Adrienne's beauty balm works everywhere! Use under your eyes, on vertical mouth lines, neck and throat wrinkles, vertical décolleté lines and anywhere on your body with a stubborn dry patch. 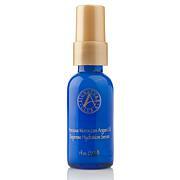 Now boosted with super moisturizing Baobab tree extract, the argan oil formulation sends the look of wrinkles packing! I am 56, live in the frozen tundra of Mich. This skin saver is great, I use it around my mouth,and under my eyes. No dryness and not greasy, I put it over my regular lotion. I dab it over my make up during the day, if I get a dry spot. This is an interesting product. I leave it on my dresser because sometimes my arthritic hands can not open the jar. It helps heal all the little cracks and knicks in the skin around my fingers as well as extra moisture for my lips and the areas around my lips. It is a great product and goes a long way. Good from lips to tips! 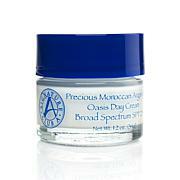 Equally great on dry lips, ashy elbows and knees, finger nails and anything in between! 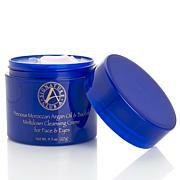 Non-greasy but leaves skin soft and supple. Highly effective on small psoriasis spots!! after reading the other reviews i almost didn''t buy this product...but i am glad i did! as to the reviews that said it was too greasy you have to just run your finger lightly over the top and dab it where you want it...don't dig in...like with vicks or vasoline..if you need more just repeat the process...as to the problem with the top it's a twist top...not a pop off top...I had no problems at all getting the top off. my advice is give it a try...I love it!